Cash Flow Statement and Disclosure are potentially significant means for management to communicate company’s performance and governance to outside investors. Demand for Cash Flow Statement and disclosure arise from information asymmetry and agency problem between owners and management. The 1st chapter of this report is Introduction. It remain Origin of the project and thesis work, Background of the Report, Objective of the report, General objective, Project objective, Scopes, Methodologies, Data sources, Limitations and Research strategy. The 2nd chapters flash on IAS and BAS, it include History of IAS, Bangladesh Accounting Standard (BAS) Scopes, Current Status of Bangladesh Accounting Standard Data sources, IAS vs. BAS Data collection and IAS 1 Presentation of Financial Statement. The 3rd chapter of this report is Overview of Cash Flow Statement. It includes what is cash flow statement, Objective of cash flow statement, Structure of the Cash Flow Statement, Presentation of a Cash Flow Statement and History of IAS-7. In 4th chapter contains the analysis and findings about some selected companies in Bangladesh which includes Pharmaceuticals industry, Bank Industry, Leasing industry, Textiles industry, Food & beverage industry. And, final chapter of this report contains some finding and recommendations are given to touch the landmark of quality cash flow statement and some similarities & dissimilarities and note disclosure practices. A set of International accounting and reporting standards, that will help to harmonize company’s financial information, improve the transparency of accounting and ensure that investors receive more accurate and consistent reports. Statements of International Accounting Standards issued by the Board of the International Accounting Standards Committee (IASC) between 1973 and 2001 are designated International Accounting Standards. International Accounting Standards (IASs) were issued by the IASC from 1973 to 2000. The IASB replaced the IASC in 2001. Since then, the IASB has amended some IASs and has proposed to amend others, has replaced some IASs with new International Financial Reporting Standards (IFRSs), and has adopted or proposed certain new IFRSs on topics for which there was no previous IAS. Through committees, both the IASC and the IASB also have issued Interpretations of Standards. The Companies Act 1994, which replaced the Companies Act 1913, provides the requirements for preparation and publication of financial statements, disclosures, among other provisions. However, in most cases, the Act lacks clarity with regard to statutory requirements on disclosures in the financial statements of the incorporated companies. The formats for presentation of financial statements and requirements on disclosures prescribed in the Act need updating or removing. Moreover, some accounting requirements prescribed by the Act are incompatible with International Accounting Standards (IAS).For example, contrary to IAS, the Companies Act requires capitalization of gains and losses arising from changes in foreign exchange rates under all circumstances. Inconsistencies between IAS and the Companies Act need to be eliminated. The committee, which has been formed by the Government for updating the Companies Act, should take it into consideration. Listed companies are required to comply with SEC accounting and disclosure requirements, despite inconsistencies with the requirements of the Companies Act 1994. The SEC, in protecting investor interests, issues various rules that apply to listed companies, including accounting and auditing requirements that, according to SEC Ordinance 1969 (Provision 2CC), supersede requirements set by the Companies Act. The October 1997 SEC rule required listed companies to follow IAS and adopted by the Institute of Chartered Accountants of Bangladesh (ICAB).Since the October 1997 SEC rule did not mandate full compliance with all IAS. Accounting requirements set by the Bank Companies Act 1991 are in addition to the requirements set by Companies Act 1994. The Bank Companies Act prescribes the format of balance sheet and income statement, including disclosure requirements that each bank must follow for regulatory reporting to the Banking Inspection Department of the Bangladesh Bank. The same accounting and financial reporting rules are required to be followed by banks in preparing financial statements for external users. The Bank Companies Act empowered the Bangladesh Bank to approve appointment of bank auditors. In practice, the Bangladesh Bank maintains a list of approved auditors. The list contains both large and small audit firms. This report has been made for the partial fulfillment of the “A Study of different cash flow Methods for reporting in some selected companies in Bangladesh”, with the specified time duration. I had to study on certain topics of Cash Flow Statement and Presentation of Financial Statement to prepare the report. The report was originated to make a study on the preparation and presentation of financial statements of different Company in Bangladesh with special reference to International Accounting Standards (IAS) and as a part of the fulfillment of thesis program required for the completion of the MBA program of major in Accounting of the Faculty of Business Studies of Stamford University Bangladesh. As a part of my study and completion of the MBA degree, the thesis and project work was assigned by “Md. Shajul Islam, Senior Lecturer of Stamford University, Bangladesh. I am very much thankful to him for assigning me such types of project work. International Accounting Standards – 7 are the authoritative statements of how particular types of transactions and other events should be reflected in cash flow statements prepared by the public limited companies listed in the Stock Exchanges of our country. According to Securities and Exchange Rules 1987, every listed company is required to prepare its cash flow statements in conformity with International Accounting Standards – 7. Some companies follow the requirements of IAS – 7 in presenting information with few exceptions. The main objectives of this report are to analyze the Cash Flow Statement of various companies and help their management in future policy formulation that is likely to improve the quality of their cash flow statement. To gain experience and view the application of theoretical knowledge in the real life. To gain an understanding of relevant laws and rules followed in preparing financial statements. To analyze the Cash Flow to explain IAS –7 adopted in preparing Cash Flow Statement. To review the voluntary disclosure issues and reporting procedure of every financial information of the company. To suggest some policy measures for the Cash Flow Statement. Financial reporting of a public limited company is a broad area. Within the limited time period of thesis, it is virtually impossible to cover all aspects of financial reporting. So, the scope of my report is limited only to the compliance of those International Accounting Standards (IAS’s) as followed by various companies in preparing its financial statements and some other areas of voluntary information disclosure. In preparing the report, I review and analyze the information published in the annual report for the year 2009. Any change in accounting policies in respect of providing information after this period is beyond the scope of my report. This report has been prepared on the basis of experience gathered through learning various companies’ annual report. For preparing this report, I have also get information from website of various companies. I have presented my experience and finding by using different tables, which are presented in the analysis part. Relevant data for this report has been collected primarily by direct investigations of different companies’ annual report and website. The information and data for this report have been collected from primary and secondary sources. The secondary sources of information are annual reports, websites and different manuals. Data collected from secondary sources have been processed manually and qualitative approach in general and quantitative approach in some cases has been used throughout the study. Qualitative approach has been adopted for data analysis and interpretation taking the processed data as the base. So the report relies primarily on an analytical judgment and critical reasoning. Sample size is Twenty five (25s) Annual Reports of different Company. It was very difficult to collect the information from various companies. Company policy was not disclosing some data and information for obvious reasons. Because of the limitation of information some assumption was made. The annual report was the main secondary Information source of information that was not enough to complete the report and private the reader a clear idea about the Cash Flow Statement. Confidentiality of data was another important barrier that was faced during the conduct of this study. Every organization has their own secrecy that is not revealed to others. While collecting data, the personnel of different Pharmaceutical companies did not disclose enough information for the sake of confidentiality of the organizations. Other countries do not permit companies to use International Accounting Standards (IAS) without reconciliation to domestic generally accepted accounting principles. Most notable among these countries are Canada, Hong Kong, Japan, and the United States. BAS are developed by the ICAB and are based on older IASs-generally those developed by the IASC rather than the improved IASs and the IFRSs developed by the IASB. The Technical and Research Committee of the ICAB develops the standards. Adoption requires approval of the ICAB Council. The auditor’s report and basis of presentation note refer to conformity with international accounting standards applicable in Bangladesh. The application of BAS in the preparation, presentation, analysis, monitoring and evaluation of the financial statements and governance of corporate bodies is mandatory. This is in order to reflect the true and fair financial position of the entities with a view to safeguarding the interest of the stakeholders of all categories. We are aware that in the face of colossal corporate collapses caused by Enron, Parma at and others, the credibility and transparency of the accounting profession was called into question around the globe in recent years and there was a loss of public confidence in the profession. In order to regain the lost public confidence in the accounting profession in Bangladesh, ICAB has taken a very laudable step by adopting the IAS as BAS. Up to July 2006, the ICAB has adopted 29 IASs, IASB Framework and four Bangladesh Financial Reporting Standards (BFRS), (See Appendix). As the official standards setting body of this country and also as a regulatory body of the accounting profession, ICAB was one of the first Institutes in this region to start adoption IAS as a process of stringent technical review and considering their applicability to our country. With the passage of time, some of the IAS adopted by ICAB have been superseded, withdrawn or revised. There are two schools of thought on the adoption of IAS or IFRS by developing countries. The one school argues that IASs are generally as applicable in developing countries as they are in developed countries. The other school opposes the wholesale adoption of IASs for developing countries. The second school of thought, those who oppose the wholesale adoption of IAS for developing countries, they have argued that we need to consider the accounting needs of each developing country before prescribing any set of standards (Wallace, 1993, Chaderton & Taylor, 1993). In this regard, Kabir wrote “It is to be noted that IFRSs are heavily influenced by the Anglo-American traditions. These are the result of evolution over a long period of time. It may be rightly asked whether the IFRSs that the applied by companies in developed countries are suitable for companies in developing countries whose socio-economic conditions are different from those in developed countries” (Kabir, 2005, P-6). Kabir also criticized the present wholesale adoption procedure of IASs as BASs by ICAB. He wrote “The present approach to adoption is one of lagged adoption. This means that an IFRS is adopted at a time without modification and without any provision of subsequent changed in it. As IFRSs are being changed continuously, BASs may get out of line in some instances. For example, BAS 2 permits LIFO, which is now prohibited by IAS 2. This should not be taken as an advocacy of the approach in which the body, for example the ICAB, would only specify the relevant IFRSs adopted in Bangladesh and say that these IFRSa would be applicable as they stand at the time of preparing financial statements.” But in July 2006 ICAB had withdrawn the permission of LIFO to follow blindly LAS 2. Standard setting is a continuous process. As and when new standards are adopted by ICAB, these will be published for use by all concerned. Once adopted, the next biggest challenge is to ensure application of these standards, where applicable. ICAB has a big role to play in dissemination of these standards on a big scale and providing training, technical support and overall guidance not only to its members but also to non-members as well. In this respect, ICAB has to work in close cooperation with SEC, Stock Exchanges, Bangladesh Bank, Chambers of Commerce and Industries, NBR and other regulatory agencies. The objective of this Standard is to prescribe the basis for presentation of general purpose financial statements, to ensure comparability both with the entity’s financial statements of previous periods and with the financial statements of other entities. To achieve this objective, this Standard sets out overall requirements for the presentation of financial statements, guidelines for their structure and minimum requirements for their content. Notes, comprising a summary of significant accounting policies and other explanatory notes. The financial statements shall be identified clearly and distinguished from other information in the same published document. Financial statements shall be presented at least annually. Financial statements shall present fairly the financial position, financial performance and cash flows of an entity. In virtually all circumstances, a fair presentation is achieved by compliance with applicable IFRSs. An entity whose financial statements comply with IFRSs shall make an explicit and unreserved statement of such compliance in the notes. Financial statements shall not be described as complying with IFRSs unless they comply with all the requirements of IFRSs. When preparing financial statements, management shall make an assessment of an entity’s ability to continue as a going concern. Financial statements shall be prepared on a going concern basis unless management either intends to liquidate the entity or to cease trading, or has no realistic alternative but to do so. When management is aware, in making its assessment, of material uncertainties related to events or conditions that may cast significant doubt upon the entity’s ability to continue as a going concern, those uncertainties shall be disclosed. The presentation and classification of items in the financial statements shall be retained from one period to the next. Except when a Standard or an Interpretation permits or requires otherwise, comparative information shall be disclosed in respect of the previous period for all amounts reported in the financial statements. Comparative information shall be included for narrative and descriptive information when it is relevant to an understanding of the current period’s financial statements. Each material class of similar items shall be presented separately in the financial statements. Items of a dissimilar nature or function shall be presented separately unless they are immaterial. Omissions or misstatements of items are material if they could, individually or collectively; influence the economic decisions of users taken on the basis of the financial statements. Materiality depends on the size and nature of the omission or misstatement judged in the surrounding circumstances. The size or nature of the item, or a combination of both, could be the determining factor. If a line item is not individually material, it is aggregated with other items either on the face of those statements or in the notes. An item that is not sufficiently material to warrant separate presentation on the face of those statements may nevertheless be sufficiently material for it to be presented separately in the notes. Assets and liabilities, and income and expenses, shall not be offset unless required or permitted by a Standard or an Interpretation. An entity shall present current and non-current assets, and current and non-current liabilities, as separate classifications on the face of its balance sheet except when a presentation based on liquidity provides information that is reliable and is more relevant. All items of income and expense recognized in a period shall be included in profit or loss unless a Standard or an Interpretation requires otherwise. An entity shall present an analysis of expenses using a classification based on either the nature of expenses or their function within the entity, whichever provides information that is reliable and more relevant. An entity shall disclose, in the summary of significant accounting policies or other notes, the judgments, apart from those involving estimations, that management has made in the process of applying the entity’s accounting policies and that have the most significant effect on the amounts recognized in the financial statements. An entity shall disclose in the notes information about the key assumptions concerning the future, and other key sources of estimation uncertainty at the balance sheet date, that have a significant risk of causing a material adjustment to the carrying amounts of assets and liabilities within the next financial year. An entity shall disclose information that enables users of its financial statements to evaluate the entity’s objectives, policies and processes for managing capital. The cash flow statement should report cash flows during the period classified by operating, investing and financing activities. An enterprise presents its cash flows from operating, investing and financing activities in a manner which is most appropriate to its business. Classification by activity provides information that allows users to assess the impact of those activities on the financial position of the enterprise and the amount of its cash and cash equivalents. This information may also be used to evaluate the relationships among those activities. A single transaction may include cash flows that are classified differently. For example, when the cash repayment of a loan includes both interest and capital, the interest element may be classified as an operating activity and the capital element is classified as a financing activity. The amount of cash flows arising from operating activities is a key indicator of the extent to which the operations of the enterprise have generated sufficient cash flows to repay loans, maintain the operating capability of the enterprise, pay dividends and make new investments without recourse to external sources of financing. Information about the specific components of historical operating cash flows is useful, in conjunction with other information, in forecasting future operating cash flows. Cash receipts and payments from contracts held for dealing or trading purposes. Some transactions, such as the sale of an item of plant, may give rise to a gain or loss which is included in the determination of profit or loss. However, the cash flows relating to such transactions are cash flows from investing activities. An enterprise may hold securities and loans for dealing or trading purposes, in which case they are similar to inventory acquired specifically for resale. Therefore, cash flows arising from the purchase and sale of dealing or trading securities are classified as operating activities. Similarly, cash advances and loans made by financial institutions are usually classified as operating activities since they relate to the main revenue-producing activity of that enterprise. Cash receipts from futures contracts, forward contracts, option contracts and swap contracts except when the contracts are held for dealing or trading purposes or the receipts are classified as financing activities. When a contract is accounted for as a hedge of an identifiable position, the cash flows of the contract are classified in the same manner as the cash flows of the position being hedged. Cash payments by a lessee for the reduction of the outstanding liability relating to a finance lease. The opportunities for reporting cash flows on a net basis will usually arise only in a bank or similar financial institution [IAS7.23].The derivation of operating cash flows by use of the indirect method also results in some netting of cash flows. Foreign currency cash flows should be translated into the functional currency at the rate of exchange on the date of the transaction [IAS7.25]. This is consistent with the translation of the transaction for inclusion in the income statement. A foreign subsidiary’s cash flows should also be translated at the exchange rates relevant to the underlying transactions [IAS7.26]. However, a rate that approximates the actual rate, for example a weighted average rate, may be used, consistent with the guidance in IAS 21. The period-end rate cannot be used to translate foreign currency cash flows [IAS7.27]. However, residual balances arising as a result of a foreign currency transaction will be included in the balance sheet at the period-end rate. Consequently, a reconciling difference will arise between the changes in cash and cash equivalents reported in the cash flow statement and the equivalent amounts obtained from the balance sheet. This reconciling difference is not a cash flow but is reported separately in the cash flow statement [IAS7.28]. The objective of IAS 7 is to require the presentation of information about the historical changes in cash and cash equivalents of an entity by means of a statement of cash flows, which classifies cash flows during the period according to operating, investing, and financing activities. You will find sample IFRS statements of cash flows in our Model IFRS Financial Statements. All enterprises that prepare financial statements in conformity with IAS are required to present a cash flow statement. 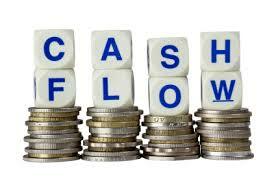 The cash flow statement analyses changes in cash and cash equivalents during a period. Cash and cash equivalents comprise cash on hand and demand deposits, together with short-term, highly liquid investments that are readily convertible to a known amount of cash and that are subject to an insignificant risk of changes in value. Guidance notes indicate that an investment normally meets the definition of a cash equivalent when it has a maturity of three months or less from the date of acquisition. Equity investments are normally excluded, unless they are in substance a cash equivalent (e.g. preferred shares acquired within three months of their specified redemption date). Bank overdrafts which are repayable on demand and which form an integral part of an enterprise’s cash management are also included as a component of cash and cash equivalents. The following rules are used to make adjustments for changes in current assets and liabilities, operating items not providing or using cash and non operating items. issuing shares in exchange for assets . The company fully followed the IAS-7. The company followed Direct Method for the cash flow statement .The company fully recorded the cash & cash equivalent on the step of operating, financing & investment part. Cash were recorded as their received & payment. The company accumulates tax, dividend, and interest and as flows all document of cash or cash equivalent. The exchange rate was not used in a foreign currency. The company compares the cash flow towards the old one. It means it contain two years cash flow on their annual report & also their website. As their operating balance year 2009 is 880,728,275, investing balance is (1,180,383,641) and financial balance is 287,604,184. For the total balance of cash flow are 73,647,728. The operating balance of Beximco pharmaceticuls ltd. in 2009 is 100,045,897 more than 2008, the investing balance in 2009 is (189,507,092) more than previous year which indicate that there investment is increasing & the financing balance in 2009 is 91,100,595 more than 2008. By analyzing from the annual Report 2009 about IAS 7, we can see that the company follows Direct Method for the cash flow statement .The company fully recorded the cash & cash equivalent on the step of operating, financing & investment part. Cash were recorded as their received & payment. The company accumulates tax, dividend, and interest & as flows all document of cash or cash equivalent. The exchange rate was not used in a foreign currency. The company declaring the cash dividend on 2009.The Company compares the cash flow towards the old one. It means it contain two years cash flow on their annual report & also their website. As their operating balance year 2009 is 130,828,704 investing balance is (1,873,856,298) and financial balance is 638,468,109. For the total balance of cash flow are 205,295,694. The operating balance of Square pharmaceuticals ltd. in 2009 is 149, 96,955 less than 2008, the investing balance in 2009 is (884,600,140) more than previous year which indicate that there investment is increasing & the financing balance in 2009 is 39,880,840 more than 2008. The company fully followed the IAS-7. The company follows Direct Method for the cash flow statement .The company fully recorded the cash & cash equivalent on the step of operating, financing & investment part. Cash were recorded as their received & payment. The company accumulates tax, dividend, and interest and as flows all document of cash or cash equivalent. The exchange rate was not used in a foreign currency. The company compares the cash flow towards the old one. It means it contain two years cash flow on their annual report & also their website. As their operating balance year 2009 is 1,514,227,333 investing balance is (194,948,725) and financial balance is 964,954,678. For the total balance of cash flow are (975,803,619). The operating balance of ACI pharmaceuticals ltd. in 2009 is 515,690,436 more than 2008, the investing balance in 2009 is (38,027,466) more than previous year which indicate that there investment is increasing & the financing balance in 2009 is 63,990,099 more than 2008. The company fully followed the IAS-7. The company followed Direct Method for the cash flow statement .The company fully recorded the cash & cash equivalent on the step of operating, financing & investment part. Cash were recorded as their received & payment. The company accumulates tax, dividend, and interest and as flows all document of cash or cash equivalent. The exchange rate was not used in a foreign currency. The company compares the cash flow towards the old one. It means it contain two years cash flow on their annual report & also their website. As their operating balance year 2009 is 41,161,523, investing balance is (54,925,181) and financial balance is 60,821,435. For the total balance of cash flow are 81,100,322. The company fully followed the IAS-7. The company follows Direct Method for the cash flow statement .The company fully recorded the cash & cash equivalent on the step of operating, financing & investment part. Cash were recorded as their received & payment. The company accumulates tax, dividend, and interest and as flows all document of cash or cash equivalent. The exchange rate was not used in a foreign currency. The company compares the cash flow towards the old one. It means it contain two years cash flow on their annual report & also their website. As their operating balance year 2009 is 217,478,117 investing balance is (556,764,226) and financial balance is 414,177,169. For the total balance of cash flow are 123,148,038. The operating balance of Renata pharmaceuticals ltd. in 2009 is 19,899,888 more than 2008, the investing balance in 2009 is (23, 94,033) less than previous year which indicate that there investment is decreasing & the financing balance in 2009 is 91,100,595 more than 2008. The Bank fully followed the IAS-7. The Bank follows Direct Method for the cash flow statement .The company fully recorded the cash & cash equivalent on the step of operating, financing & investment part. Cash were recorded as their received & payment. The company accumulates tax, dividend, and interest and as flows all document of cash or cash equivalent. The exchange rate was used in a local currency. The company compares the cash flow towards the old one. It means it contain two years cash flow on their annual report & also their website. As their operating balance year 2009 is 1,340,595,190 investing balance is (556,764,226) and there is no financial balance. For the total balance of cash flow are 123,148,038. The operating balance City Bank ltd. ltd. in 2009 is 359,897,217 more than 2008, the investing balance in 2009 is (118,552,485) less than previous year which indicate that there investment is decreasing. The Bank fully followed the IAS-7. The Bank follows Direct Method for the cash flow statement .The company fully recorded the cash & cash equivalent on the step of operating, financing & investment part. The Statement shows the structure of cash received & payment. Cash were recorded as their received & payment. The company accumulates tax, dividend, and interest and as flows all document of cash or cash equivalent. The exchange rate was used in a local currency. The company compares the cash flow towards the old one. It means it contain two years cash flow on their annual report & also their website. As their operating balance year 2009 is(1,744,450,052) investing balance is 38,388,570 and financial balance is 4,580,036,287. For the total balance of cash flow are 10,513,933,056. The operating balance of Eastern Bank ltd. in 2009 is 346,032,526 more than 2008, the investing balance in 2009 is (677,228,161) less than previous year which indicate that there investment is decreasing & the financing balance in 2009 is 3,426,737,351 more than 2008. The Bank fully followed the IAS-7. The Bank follows Direct Method for the cash flow statement .The company fully recorded the cash & cash equivalent on the step of operating, financing & investment part. Cash were recorded as their received & payment. The company accumulates tax, dividend, and interest and as flows all document of cash or cash equivalent. The exchange rate was not used in a foreign currency. The company compares the cash flow towards the old one. It means it contain two years cash flow on their annual report & also their website. As their operating balance year 2009 is 61, 66,334,191 investing balance is (1,489,113,259) and financial balance is 903,263,750. For the total balance of cash flow are 17,949,683,740. The operating balance of Brac Bank ltd. in 2009 is 55, 67,744,933 more than 2008, the investing balance in 2009 is (408,156,328) less than previous year which indicate that there investment is decreasing & the financing balance in 2009 is 1, 64,003,859 more than 2008. The Bank fully followed the IAS-7. The Bank follows Direct Method for the cash flow statement .The company fully recorded the cash & cash equivalent on the step of operating, financing & investment part. Cash were recorded as their received & payment. The company accumulates tax, dividend, and interest and as flows all document of cash or cash equivalent. The exchange rate was not used in a foreign currency. The company compares the cash flow towards the old one. It means it contain two years cash flow on their annual report & also their website. As their operating balance year 2009 is (1,437,505,057) investing balance is 857,087,821 and there is no financial balance in this year. For the total balance of cash flow are 5,644,325,697. The operating balance of Uttara Bank ltd. in 2009 is ( 337,244,090) less than 2008, the investing balance in 2009 is (1,009,810,975) less than previous year which indicate that there investment is decreasing. The Bank fully followed the IAS-7. The Bank follows Direct Method for the cash flow statement .The company fully recorded the cash & cash equivalent on the step of operating, financing & investment part. Cash were recorded as their received & payment. The company accumulates tax, dividend, and interest and as flows all document of cash or cash equivalent. The exchange rate was not used in a foreign currency. The company compares the cash flow towards the old one. It means it contain two years cash flow on their annual report & also their website. As their operating balance year 2009 is 4,676,109,898 investing balance is (467,334,314) and there is no financial balance in this year. For the total balance of cash flow are 8788206245. The operating balance of Mutual Trust Bank ltd. in 2009 is more than 2008; the investing balance in 2009 is (4,317,001,641) more than previous year which indicate that there investment is increasing. The Cash Flow disclosure in annual report by the different companies is not satisfactory. The practice of these companies may lead to fraudulent financial reporting and fail to enhance the reliability of the published information. The reason for this phenomenon may be attributed to the absence of proper monitoring by the regulatory bodies and lack of awareness by the both companies and users of information. This situation remaining same day by day because neither there is many provisions for penalty for non-compliance with the statutory requirements nor any practice of providing award for best practice. It can be inferred from this fact that stakeholders of different companies want detail disclosures of important information of Cash Flow Statement from the annual report. So the companies should give attention to these matters when preparing the annual reports. It will be the duty of the regulatory bodies to ensure standard practice by providing different mechanism for the provision of penalty and encourage best practice. They should provide more disclose about the flowing items including interest paid and income, investment income, other income, legal expenses, provision for doubtful income and assets, depreciation, earning per share, receipt from other operating activities and payments for other operating activities. The company should provide highly disclosure about cash items which are very necessary for the investor. They should provide more disclosed about profit and loss account and change in owner’s equity. They should more disclose about the increase and decrease of Assets and Liabilities.